Knowing limits and balances and honoring them is key to following Islam. There are many demands in life that sometimes appear to be in conflict with each other. Nevertheless, one has to negotiate carefully with different needs and tread a middle path. 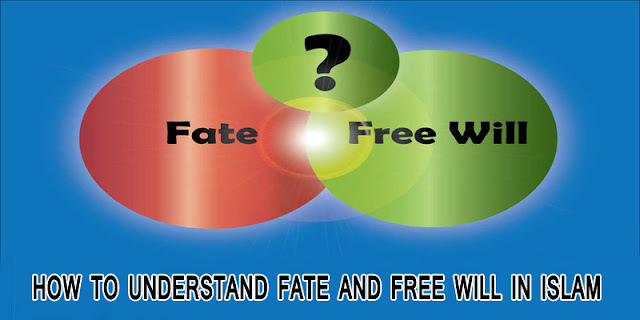 One such balance to be maintained is acting on free will while having faith in fate. Some people out of arrogance say that they make their own fate, as if God has no role. And some go to the other extreme of saying that free will is an illusion, suggesting that our lives have no point. We experience the consequences of our actions as well as situations that we did not create ourselves. Sometimes we pay for some of our mistakes. At times, we feel like we’re paying more than our due. We feel that we couldn’t have done much to avert this situation; we’ve just run into this. At those times we look to God for guidance and mercy. The best approach in such situations is to maintain patience and pray for help. Most of us will probably live for sixty to seventy years. If everything is left to our whims and fancies, this might not be possible. For all the carelessness in my actions, I may ruin my life in a very short span. Fate can be considered as the guiding force in our life. It shapes and completes our life. How we get to act on free will while at the same time remaining bound to fate is known only to God. God, in His Infinite Wisdom, can maintain this duality. We ought to have faith in both. The knowledge of free will and its consequences makes us accountable and responsible. It teaches us to take control. Belief in fate teaches us to be composed in good and bad times. The last verse in chapter 2 aptly throws light on this subject. The verse starts with pointing towards God’s kindness and wisdom in not burdening any soul beyond its capacity. It continues with the inevitability of the consequences of our actions. But all hope is not lost when we err. There is always scope for mercy. God teaches us to invoke His Kindness and Mercy with the most beautiful and wise words. Memorizing this verse and reciting it often will provide a strong and stable anchor for our lives.